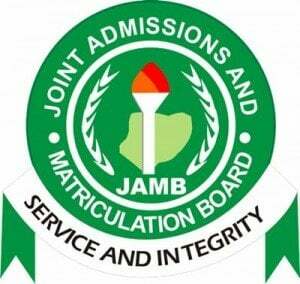 Recommended: How to Use JAMB Admission Status Checking Portal for Free. plz i was offered an admission by Nuhu Bamali polytechnic in Kaduna State. am trying to login to my profile to accept and print my admission letter but its not logging in what do i do plz????????????? pls i hv been trying to print my admission letter but its not loading .pls what should i do . Hello i got admission in bauchi state university , i done everything but is showing me not addimitated , i went to i c t of the school they didn’t attend me pls wt did i do? I Am My Name Zaharadeen Ahmadu From Platue State I Gat Atmision From Bauchi State University Than I Did My Screening Both After Know I Not See My Atmision Latter For Jamb And School My Registration Number Is 86219851gf Please I Net Hape. Comment Text*p ls I scored 201 in jamb and I applied for funai, i got 220 in supplementary all the lists r out but my is still showing me sorry no admission, w what’s wrong, am i qualified to get d admission or not, pls answer me sir. I got 192 in jamb I applied de too but for nursing science institution is unijos can’t I be admitted because I checked on line is showing sorry not admitted yet are we waiting 4 another list? if i was admited by jamb and school did not give me admission can i get admission?? please I have been offer admission on jamb but not yet admission on my school. Comment Text*pls and pls sir if we check our admission status they are saying that sorry no admission is giving yet sir we don’t have something to do about it sir help us about it sir this is my Reg number 86870094AG pls and pls sir. I wrote jamb 2019 and I score 139 in my UTME. can’t I gain admission in to any institution. i have been offerred admission on jamb caps,but when i want to print my admission letter is showed candidate not admitted what is wrong pls i need help.